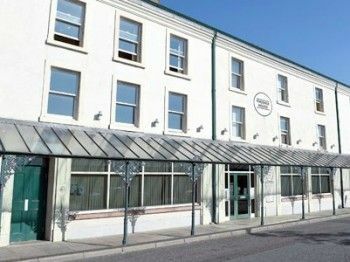 A business centre in Cleator Moor is addressing Copeland’s digitally excluded by providing supported access to computers and the internet for the unemployed. Phoenix Enterprise Centre (PEC) received a total of £77,500 from the NMP Community Fund to continue its ‘Access Copeland’ project. The initiative provides free computer drop in sessions for anyone seeking work. It aims to combat two of the issues some unemployed people face; not having access to a computer or the internet and not having the confidence to operate a computer. 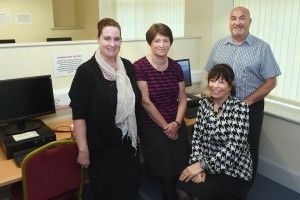 The funding has contributed to the running costs of four IT drop-in centres located in Whitehaven, Cleator Moor, Egremont and the Millom Network Centre. Each drop-in centre is managed by fully qualified Advice and Guidance staff. They are on hand to assist with setting up an email account, registering with Universal Jobmatch, downloading application forms and creating a professional CV. So far, the project has helped 442 unemployed residents, with 82 moving into full-time employment. One person who benefited from the service is Kelvin. He had been a full-time carer for his mother for 10 years, but when she was admitted into a nursing home, Kelvin lost his Carers Allowance. Unsure how to deal with this change and how he would receive an income, Kelvin sought help from Millom Network Centre (MNC). After being socially isolated for so long, Kelvin suffered anxiety and struggled in a group setting. Since first visiting, Kelvin is now more confident and his motivation has increased. He has now made a new group of friends at the centre and offers support and encouragement to new members of the project. Joanne Crowe, Operations Manager at PEC said: “When unemployed people become long-term unemployed people, loss of motivation and aspiration follows. These feelings often pass to the next generation and the cycle of deprivation continues.